Are you an athlete looking to enhance your abilities? Would you like to increase your muscular size? Would you like to increase your strength? Would you like to boost your self-esteem? Do you want to lose body-fat? Are you a weekend warrior trying to extend your ability to play sports? Are you a stay at home mom who just wants to look and feel better? Are you a forty something male who wants to feel strong and lose some that spare tire? If you answered yes to any of these, you should be training for strength. Losing muscle will cause a decrease in your basal metabolic rate. Muscle drives the metabolism. The more you have the more calories you burn. Conversely, the more you lose the fewer calories you burn. It doesn’t stop here. The more muscle one loses the weaker one gets. This is logical because the fewer muscle fibers there are to create motion, the less force you’ll be able to produce. The weaker one gets as a result of muscle lost, the tighter one gets resulting in a loss of flexibility. And as one loses flexibility, they lose more strength, which also creates a loss of muscle. This loss of flexibility coupled with a loss of strength dramatically increases ones risk for injuries. Are you starting to see what a vicious cycle this becomes? So, I think my point that despite your genetics, experience, what you know (or what you think you know) about training, strength training is for you. Partial reps are equal to full range of motion reps. 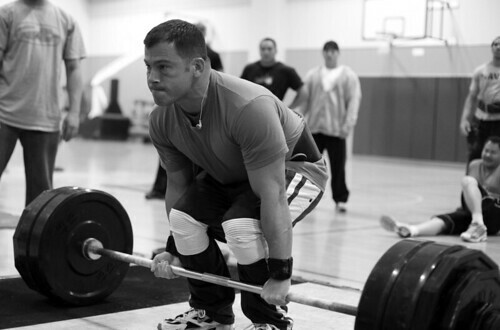 Most experts have long held that partial repetitions provide no benefit to the serious weightlifter. This was not the finding of a study done at the University of Southern Mississippi compared using partial range of motion (ROM) repetitions and full ROM repetitions in the development of strength in untrained males. As far as the development of maximal strength was concerned, partial and mixed repetitions were found to be equally as effective as full repetitions. Does this mean partial reps should be the major component of a strength training routine? Absolutely not. As with all studies concerning progressive resistance training, there were too few subjects, and the length of time involved was too short in duration. However, this study does find support in using partial reps in addition to a traditional strength training program. This is especially true for power lifters and other athletes who need to ?lock a weight out? at the top portion of the lift.